This map covers an area starting with the mouths of the Indus River eastward to include all of India, Burma, Siam (Thailand), Laos, Cambodia, Malaysia (Malacca) and Vietnam (Tonquin and Chochin). 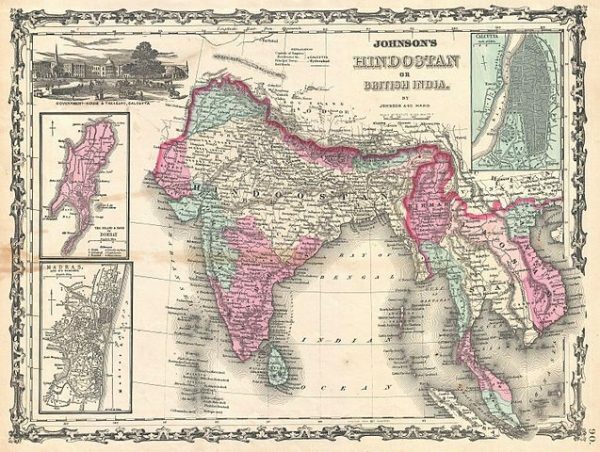 This map covers an area starting with the mouths of the Indus River eastward to include all of India, Burma, Siam (Thailand), Laos, Cambodia, Malaysia (Malacca) and Vietnam (Tonquin and Chochin). 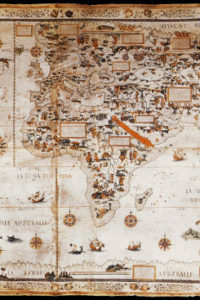 It also includes parts of Nepal, China, Bhutan, Sumatra and Ceylon (Sri Lanka). Published by A. J. Johnson and Ward as plate number 90 in the 1862 edition of Johnson’s New Illustrated Family Atlas . This is the first edition of the Family Atlas to bear the Johnson and Ward imprint. This map will be shipped in 5 days, in a mailing tube. The time taken for you to receive it will depend upon the mode you choose, while completing your purchase. The rates applicable for each mode are different.